Guts, daring and nerve — qualities that drove and helped inspire Herb and Ervin Kolbe to start building and dreaming. Their initial small, family business has grown into a nationally recognized leader in the window and door industry. Ernest Kolbe and his wife, Louise lived on a small dairy farm in Marathon with four sons, including Ervin born Dec. 8, 1918 and Herb, Oct. 15, 1920. Growing up during The Depression, neither brother’s schooling went past the eighth grade. Industrious and creative, they liked helping on the farm, honing their carpentry skills and working at local sawmills. As World War II began, Ervin left to join the U.S. Army and Herb, exempt from military service because of his occupation, maintained the family farm. He married Marion Kozlowski in 1942. They had their first daughter, Judy the following year, with second daughter, Monna-Sue arriving in 1945. After the war, the brothers started a carpentry business. They bought a Sears & Roebuck table saw, and got to work in 1946 in a small wash house their mother used on the farm. A demand for windows, which were hard to purchase after the war, led Ervin and Herb to build wood windows, door frames and repair window screens. It was a small operation, just Herb and Ervin, for the first two years as the company got off the ground. Their first significant milestones occurred in 1948, when they moved out of the wash house, purchased property on 11th avenue in Wausau and hired their first official employee, younger brother Walter. Older brother, Arnold, also joined the business, and Ervin’s son, Jeff was born in 1950. Through the next 50 years, more and more highlights and expansions through acquisitions occurred, as the business grew at an impressive rate. Other product lines were established, like a prehung door division, cabinet shop, their own line of double hung, slider, casement and awning specialty windows as well as higher end products, vinyl windows and doors and aluminum extrusion products. The facilities footprint grew, more shifts were added and the sales activity and territories increased from a regional Midwest territory to a nationwide reach. Ervin paused long enough to marry Vietta Cihaski on Dec. 17, 1979. Herb could be found on the production floor every day during its annual busy months and Ervin frequently greeted employees as they arrived for work, sharing his enthusiasm and dedica- tion. 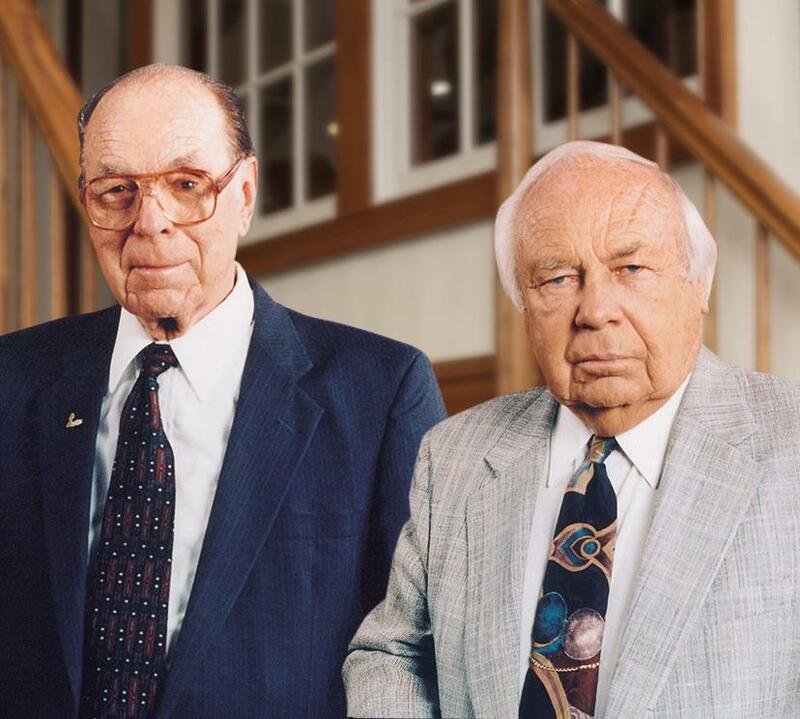 Above all, both brothers were proud of the Kolbe & Kolbe workforce, the relationships they established with employees and that they could help others by providing a livelihood for local families. Besides working together, the brothers lived next door to each other for nearly their whole adult lives. Ervin was the first to pass away with Herb’s daughter, Judy Gorski currently serving as the company CEO. Herb once said, “We don’t strive to be the biggest, but we do strive to be the best.” The Kolbe’s story of hard work, loyalty and the fearlessness to innovate truly represents a home-grown Marathon County success story.